Glenn, H. L., Liu, J.-X., and Karlstrom, R. O. A 24 hour postfertilization zebrafish embryo was fixed and cleared. 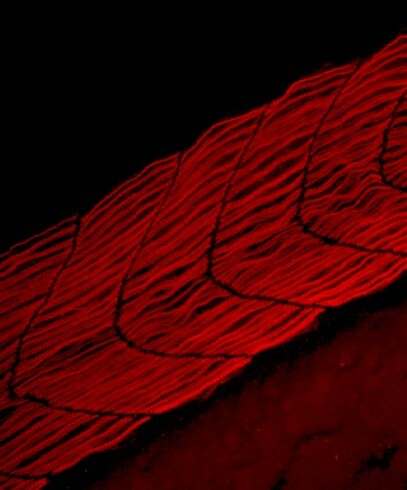 Slow twitch muscle fibers were labeled with anti-myosin heavy chain monoclonal antibody, F59 followed by TRITC conjugated secondary antibody. 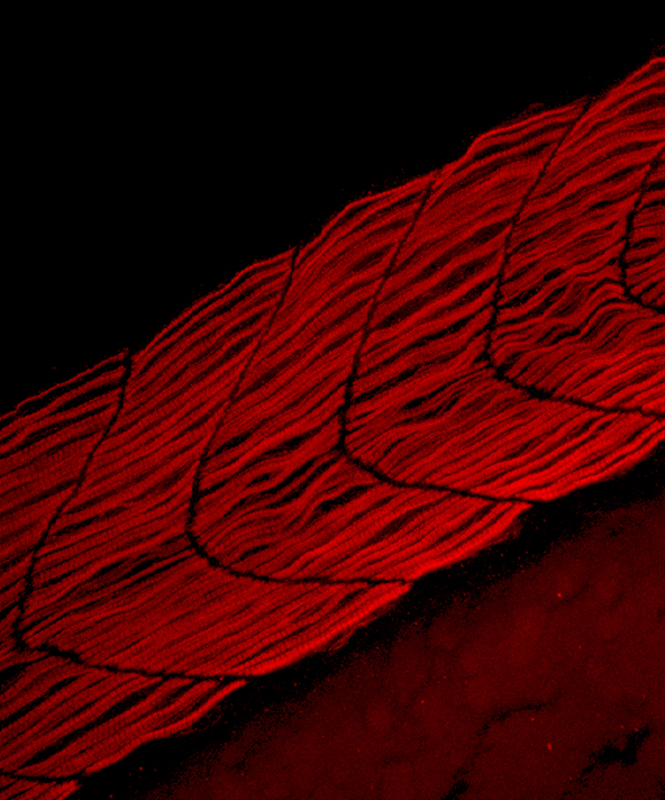 The muscle sheet was imaged with a Nikon C1 scanning confocal system with a Nikon TE 2000 inverted microscope. Images were processed with the C1 EZ-Viewer software.